Discover one of the most celebrated narrative adventure games of all time, as Episode 1 of LIFE IS STRANGE is now free to play on iOS. All five episodes of the International Mobile Game Awards 2017 - People’s Choice winner, LIFE IS STRANGE will also be coming to Android during summer 2018. The LIFE IS STRANGE in-game photo mode has been updated and enhanced, giving players the opportunity to photograph life in Arcadia Bay like never before! In episodes 4 and 5 of LIFE IS STRANGE Max’s investigation into the disappearance of Rachel Amber reaches a thrilling conclusion, while she learns that time is impossible to control. Meanwhile, Arcadia Bay prepares to weather a huge storm as LIFE IS STRANGE comes to a gripping and gut-wrenching conclusion. With high quality production values and a unique hand-drawn art style optimised for iPhone and iPad, LIFE IS STRANGE is a compelling, story-driven experience where choice and consequence play a key role in how the narrative unfolds. 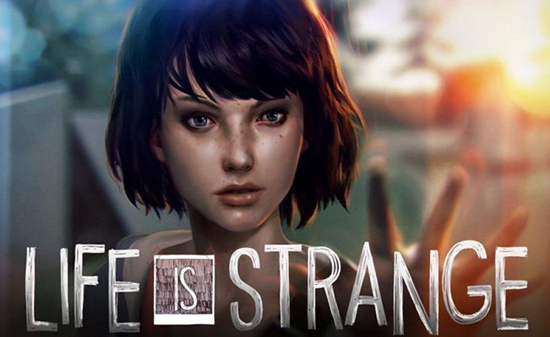 In LIFE IS STRANGE, the player’s decisions have deep and lasting repercussions on the game’s narrative, its characters and the world. LIFE IS STRANGE™ iMessage Stickers. A ‘Game Artist Award’* nominee, the full season of LIFE IS STRANGE is now available to download on iOS. Episode 1 currently free to play, and all episodes can be purchased separately or a full season pass is available for $8.99 / £8.99 / €9.99. * International Mobile Game Awards 2018.